1. Can I use any one of your LED's in a oven? Unfortunately ordinary LEDs cannot operate under extreme heat. There are higher class military grade LED lighting solutions however the cost is ridiculously high and is simply not a practical solution. At this time it is not economically sound for manufacturers to produce LED bulbs for conventional oven, if there was a bulb that existed for such an application it would be rather expensive for the end user as well. 2. Will any of your products work in a tri-light system? Yes, there are various Compatible Dimmers that are predefined listings. Please see individual product listings for specific dimmers, if your dimmer is not listed on a specific product we carry please feel free to shoot us a message or call us and make an inquiry prior to purchase. 3. What if I don't find my product's dimmer upon your listings? We have not had a single client come back to us stating the bulbs are non-compatible. We merely list the tested compatible dimmers on the website for formality reasons, not that they are only compatible with such dimmers. As you very well may know, technology evolves therefore we must take into account that there are new dimmers on the market. As long as they are made according to code and standards your dimmers should work fine! 4. What products are best for outdoor? 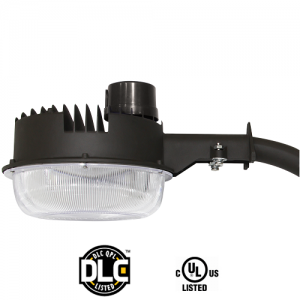 In the LED product line you may find that there many variations available for outdoor uses including but not limited to Flood lights, Wall-packs, Multi-purpose area light and Smart Area lights. We are currently updating our website, if you do not find a light that you require, pleas contact us. We will do our best to get you the best pricing! 5. What are the best lighting solutions for long range and wide ranges for outdoors? As mentioned above there are many variations available for outdoor uses many of our customers are very satisfied with the performance of the Flood lights, wall-packs and industrial lighting. If you do not see a product that interests you most, please ‘contact us’ and we will let you know if we have a solution for you. We ask you to do this because we are currently upgrading our inventory and are soon to list Industrial lighting as well. 6. What Industrial Lighting products do you plan to have in your product listing? We are currently making additional product available. Please contact us and make an inquiry, we will let you know if we have a solution for you! We ask you to do this because we are currently upgrading our inventory and are soon to list Industrial lighting as well. 7. Why choose LEDs over HID or MH? High Intensity Discharge (HID)and Metal Halide (MH) lighting solutions are unsustainable in the sense that they are not eco-friendly. HPS are a traditional lighting solution which emit a dark yellow/amber color; or Metal Halide (MH) that consumes 3-4 times as much electricity as LEDs. These technologies are quickly becoming obsolete as LEDs are the leading solution at the present time. When buying LED solutions you can expect a quick turnaround time for your ROI and the sustainability of the product is stunning when we factor in all of the electrical savings you are looking forward to. 8. Are LEDs used for illumination for security cameras? There are a variety of different solutions that we can offer. You may need various suggestions based on the application and coverage area. Currently, there are still traditional lighting varieties in parking lots which consist of technologies that are High Pressure Sodium (HPS) and Metal Halide (MH). Industry standards for LEDs used in parking lot applications are 5000K, which is superior as they are not only bright enough to cover sufficient areas, but also projects a perfect day light color that allows for security cameras to easily monitor the surroundings. Residential security camera/surveillance areas are easily illuminated. We have many satisfies customers. If you don’t see what you are looking for upon our site, please feel free to contact us. 9. Has a customer ever complained of product performance due to cold weather/very low temperatures? We have never had a negative customer review. LEDs excel in colder temperatures, at least around our latitude or to the south of it. As long as your average temperatures during the winter does not exceed -40 Celsius, the lights will perform as they are intended to, if not better. 10. What are the best best bulbs for sensor lights? Sensor lighting requirements have various needs based on the positioning and the place to which they are affixed or mounted on. It all comes down to how far you wish for the light to travel. The GU10 or PAR16s would be great for shorter distances where Flood and projector lights travel farther distances and ultimately illuminate greater areas. 11. What lights are best for solar integration? As of right now, the Deco-lines/ Deco-slim series would be the most compatible as they already operate in 24V DC. Basically you will need to figure out how much coverage area you want to illuminate and we can then help you locating a power supply based on those projections! 12. What bulbs would you suggest to be the best for replacement of standards incandescent and CFL bulbs? The PAR16 and A19 are the most commonly used bulbs as a replacement in residential households as they were made to replace the standard incandescent bulbs. 13. What bulbs would you suggest to be the best for replacement of traditional halogen bulbs? The GU10 and the MR16 are the best solution for these product categories. The best thing about the LED replacements is that they do not produce wasted energy such what the halogen bulbs do, due to heat loss. The GU10 and MR16 LED replacements are superior in energy savings! 14. What is colour temperature (kelvin)? Color temperature has been described most simply as a method of describing the color characteristics of light. Kelvin is the term used for pinpointing color temperature and is typically used in lighting. In a lighting application, Kelvin temperature represents the color temperature, such as white, blue or bright red, that relates to the physical temperature of an object. Kelvin is also used for pinpointing color temperature and is typically used in lighting. In a lighting application, Kelvin temperature represents the color temperature, such as white, blue or bright red, that relates to the physical temperature of an object. The Kelvin temperature scale was the brainchild of Belfast-born British inventor and scientist William Thomson — also known as Lord Kelvin. The Kelvin scale is popular in scientific applications because of the lack of negative numbers. During his research, Kelvin heated a block of carbon, progressing from a dim red light, increasing to a brighter yellow as the temperature increased and ultimately a bright blue-white glow at the highest temperatures. 15. What is power factor? Power factor is the ratio of the actual electrical power dissipated by an AC circuit to the product of the r.m.s. values of current and voltage. The difference between the two is caused by reactance in the circuit and represents power that does no useful work. Lux is the SI (the modern international standard version of the metric system) unit of illuminance, equal to one lumen per square meter. Lumen is the SI unit of luminous flux, equal to the amount of light emitted per second in a unit solid angle of one steradian from a uniform source of one candela. CRI = Colour Rendering Index is a quantitative measure of the ability of a light source to reveal the colors of various objects faithfully in comparison with an ideal or natural light source. 19. What is luminous flux? Luminous flux is energy per unit time (dQ/dt) that is radiated from a source over visible wavelengths. More specifically, it is energy radiated over wavelengths sensitive to the human eye, from about 330 nm to 780 nm. Thus, luminous flux is a weighted average of the Radiant Flux in the visible spectrum. 20. What is beam degree? The beam degree angle is the measure of the spread of the light source and is simply stated in degrees. This is a great feature of LED lamps as the individual LED’s can be arranged in a manner to alter the angle of the light beam. To make the most of your LED lamps, it is best to purchase a lamp with a specific beam angle depending on its use. The Design Lights Consortium™ (DLC) is a project of Northeast Energy Efficiency Partnerships (NEEP), a regional non-profit founded in 1996 whose mission is to serve the Northeast and Mid-Atlantic to accelerate energy efficiency in the building sector through public policy, program strategies and education. 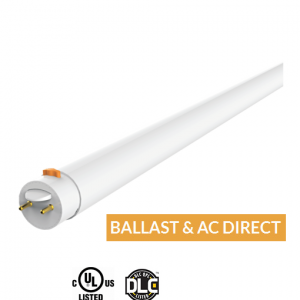 The DLC promotes quality, performance and energy efficient commercial sector lighting solutions through collaboration among its federal, regional, state, utility, and energy efficiency program members; luminaire manufacturers; lighting designers and other industry stakeholders throughout the U.S. and Canada. 22. Do you have a fluorescent replacement option where I can plug directly to the T8 pin and bypass my Ballast? 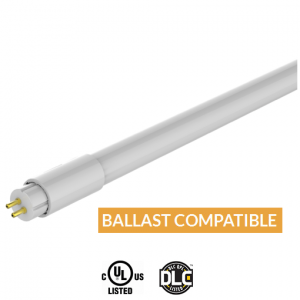 We recommend the SmartRay SmartTube-LED-T8-Direct-Plug-In-Bypass-Ballast-18w for your project. 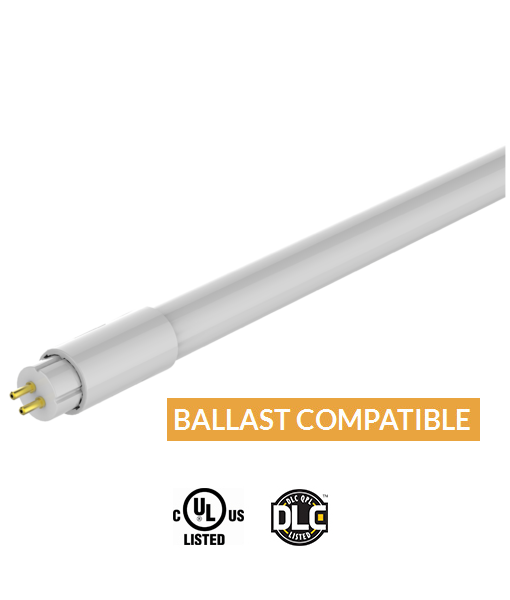 The SmartTube-LED-T8-Direct-Plug-In-Bypass-Ballast-18w will save more energy as you do not have to power or maintain your ballast.